With the Xbox 360’s ever changing dashboard and avatar system the old standbys of themes and gamer pics are becoming less and less important to the Xbox community. It used to be that you identified your friends by their tag and that little square picture they had chosen for themselves. Before the newest layout themes used to really change the way your background looked. Both of these items are still useful of course, but not as important as they used to be. New themes and Gamer Pics are still being made though and the best part is that many of them are free. 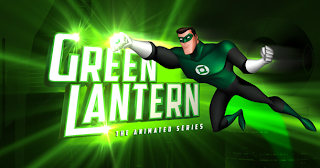 If you check out the Xbox Marketplace right now you will see a free theme and a free set of gamer pics to celebrate the Green Lantern Cartoon that starts this Saturday on Cartoon Network. While the Green Lantern pics are based on the cartoon, some of them are simple things like the GL symbol or the ring itself. Cool stuff. Free stuff. Download it if you’re a Green Lantern fan. 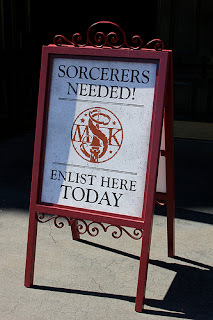 I don’t talk much about my day job on the website. I know it’s shocking that I don’t earn my living writing here every day, but sadly bills must be paid. I will say that I can work strange hours. For the past 6 months or so I don’t leave my house till just after 9 am. 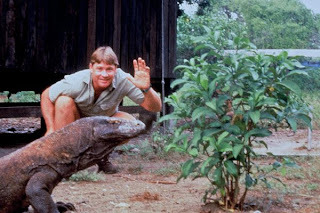 For the past month or two my morning ritual has been eating breakfast and watching the Crocodile Hunter on Animal Planet. 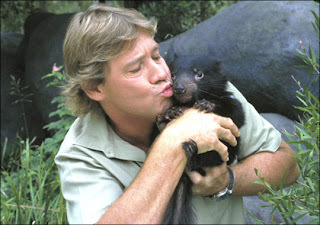 Because of that, I have to say, I miss Steve Irwin. 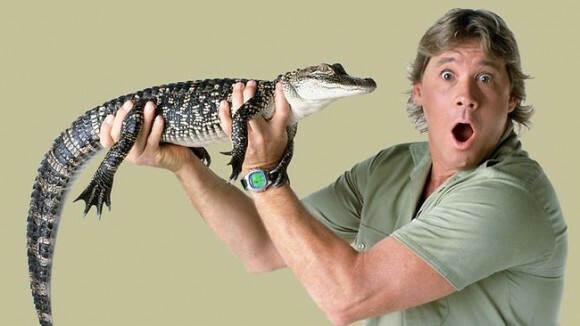 It has been six years since Steve was killed in that bizarre incident with a stingray and I think we are all worse off without him. I realize that he was not perfect; there were enough criticisms of him out there. He may have glossed over some things or sensationalized others, but his message was still there. There are amazing creatures out there and we have to be careful or they won’t be there anymore. One of my favorite things about him, is he found the beauty in reptiles. I’m drawn to a lot of those animals that don’t traditionally fall into the cute category. I love monitor lizards, snakes of all kinds, and don’t get me started on tortoises (Hammerhead sharks and Tasmanian Devils too!). Steve was the first wildlife host that I can think of that fully embraced the scalier side of the animal kingdom and talked about how wonderful they are. There was something infectious about his passion. After watching him talk about an animal, you were excited about that animal. You wanted to make sure it would be around for a long time. That kind of passion is a rare thing. Animal Planet can show all the Bigfoot Hunters they want to at night; I’ll be watching the Crocodile Hunter every morning before work. Well after stretching out the Exceptional Individuals for the better part of the month, nowcomes the "official" That F'ing Monkey Team. Thanks to everyone that posted their groups, it was extremely fun to read everyone's teams. From Reaper's Angels to Crystals Harrison Ford centric force. The F'ing Monkey Group consists of members of all the categories, from space to video games. Every team needs a leader, someone to bring the team together. 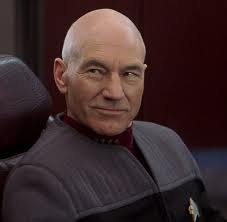 That man is Captain Jean-Luc Picard. 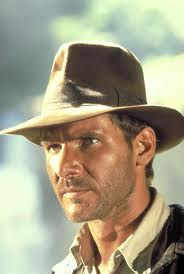 Next we have a mix of brains and brawn in Dr. Indiana Jones. 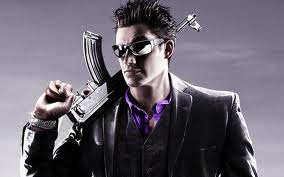 For underworld contacts and information you need someone to get things done, that person is Johnny Gat. For intimidation and the bonus to be able to cook group meals you have Muscles Glasses. 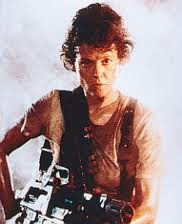 Rocking the knowledge of fighting other worldly killers and keeping her charges safe (mostly) is Ellen Ripley. 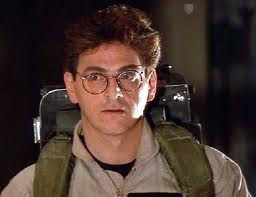 Back at base you need someone in the lab getting gear together and creating, for us that is Dr. Egon Spengler. 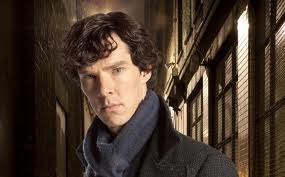 Not one to work with others but essential to the investigation portion is Sherlock Holmes. 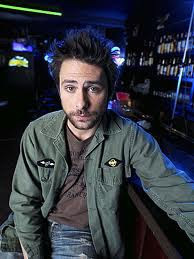 Rounding out the Group you need a wild card and there is no more wild card than Charlie Kelly. So there you have it a true Group of Exceptional Individuals. Agree? Disagree? Let Your F'ing Voice Be Heard in the comments, our Facebook page, or hit the Contact Us button. 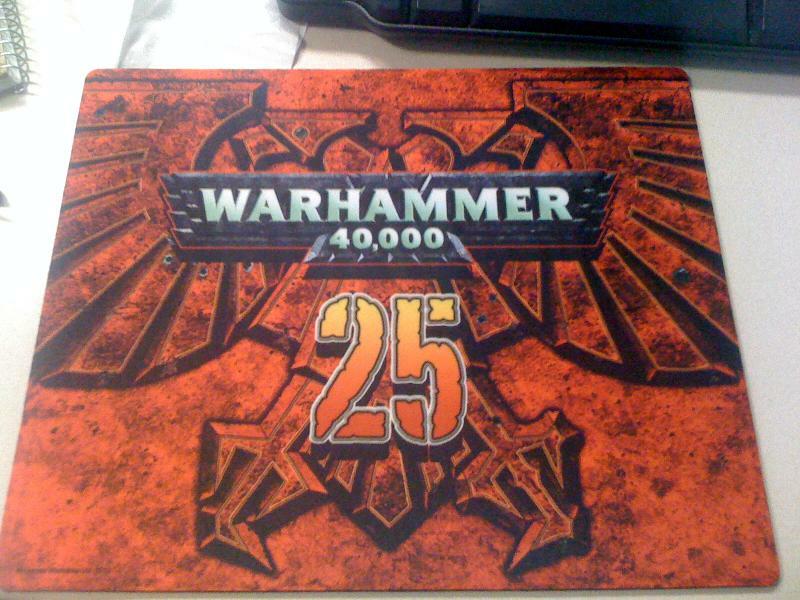 Games Workshop is celebrating the 25th Anniversary of Warhammer 40,000 today. To celebrate all of their stores are throwing big events with painting contests and things like that. They are also selling limited edition merchandise with big 25s on them, so you can say you were there. The item that is getting the most press is the Space Marine model that looks like he was taken off the cover of Rogue Trader. Now, I started playing 40K at the start of the second edition, so I wasn’t fueled by nostalgia to spend 33 bucks on the model. Just for walking into the store today I was able to get a free pin. I’ll apologize for my phone’s camera here. The pin says WARHAMMER 40,000 and has a big 25 under it. All of this is placed on top of the Imperial Aquila. 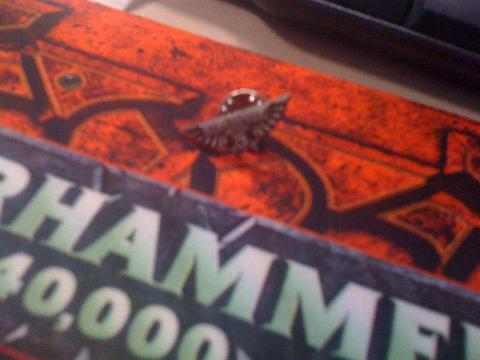 The “wingspan” of the pin is just under an inch, so it isn’t a large pin but it is still pretty cool. I believe it was free to the first 25 or 50 people in the store. There was more to buy today than just the Marine figure. There were three silicone wristbands, one for Chaos, one for Orks, and one for Marines. There was a poster. And then there was the mouse pad you see pictured above. It worked out well, I needed a new mouse pad and this one was cheap. Besides that I wanted something from the event. Unfortunately I work on Saturdays, so I wasn’t able to stick around and check out all the other fun stuff. I know my local Games Workshop store was filled with people. 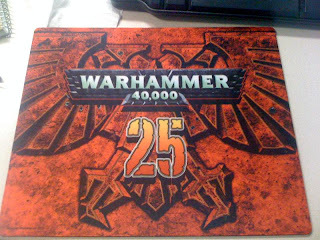 So, happy 25th Warhammer 40K, here is to many more. Happy Flash Friday everyone! 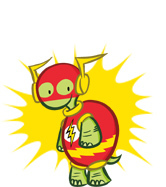 A while back I was excited because the DC Super-Pets line of books had finally released a Flash-centric book. 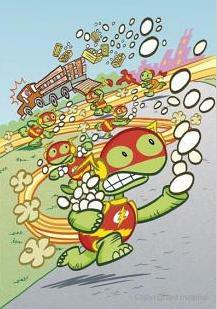 The Terrific Whatzit stars in Salamander Smackdown, a book written by John Sazaklis and illustrated by Art Baltazar. We got super lucky, because John Sazaklis was kind enough to answer a few questions about Whatzit and the DC Super-Pets in general. K: In the Super-Pet line a lot of characters already had obvious pets. 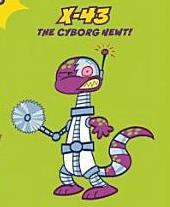 Whatzit is a little different since he existed in DC’s old Funny Animal books and wasn’t really a pet. Were you given any source material on the character? JS: I wasn't given much source material, and the reference available was pretty limited. Art created a pretty fun, silly, amazing world with the Tiny Titans. Many of these super-pets, like the Bat-Cow, appeared as visual gags that now have their own books. My direction for Whatzit was to write him as an extension of the Flash (in personality and abilities) and make him fit in this new world. 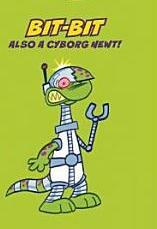 K:Were Whatzit’s villains always going to be newts? Since they are new characters, how much (if any) input did you have in their creation? JS: In some books I've had the freedom to create original villains or use some obscure characters provided by DC. In this case, I knew the villains were going to be newts but had no information on them since they were created solely for this book. Their personalities were greatly inspired by Pinky and the Brain. The Animaniacs have had an incredibly profound influence on my life. K: I know Barnyard Brainwash was recently released. Do you have more books coming out in the future? Should we expect more Whatzit? 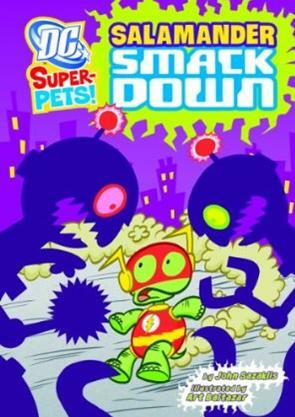 JS: The first 3 books I authored were Royal Rodent Rescue, (where Streaky the Super-Cat faces off against Catwoman's cat, Rozz) The Hopping Hero (where Hoppy the Marvel Bunny battles a cuddlier version of Sobek the crocodile) and Salamander Smackdown. The second batch of books include Barnyard Brainwash, (where the aforementioned Bat-Cow matches wits with the Mad Catter) and Candy Store Caper (where Ace the Bat-Hound and his sidekick Robin Robin fight the Joker's hyenas, Crackers and Giggles). 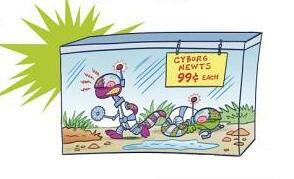 This summer keep your eyes peeled for three more stories featuring The Aqua-Pets, The Swamp-Pets, and the Atom's dog, Spot. I'm not sure if there is anymore Whatzit in the future, but one can only hope!! K: Through Harper Collins you’ve written for both Marvel and DC. How does that process different? JS: Through the HarperCollins website (harpercollinschildrens.com) you can find children's picture/activity/early reader books featuring Spider-Man, Superman, Batman and Wonder Woman. Some of them written and illustrated by yours truly. We've also done several tie-in books for the Spider-Man, Iron Man, Fantastic Four, Hulk, X-Men, and Batman movies. K: On your own blog you show off a lot of your sketches. Do you prefer writing or illustration? JS: Thanks for noticing! I love both. Fact of the matter is; my brain moves A LOT faster than my hands. My overactive imagination helps me come up with ideas and writing is a great outlet for them. If I had the luxury of more free time, I would use that to illustrate as much as possible. K: Seriously, thanks for taking the time to answer my questions. Is there anything else out on the shelves that you want people to know about? JS: I'm working on a couple projects now, but release dates are, as of yet, unknown. Keep your eyes peeled for those Super-Pets books I mentioned at capstonekids.com as well as my personal updates at www.sazmagic.blogspot.com. Thanks so much!! It’s Hangover Thursday, how’s your head? So I have a confession. After being so sick on Friday and Saturday I went out to a friend’s birthday bash on Sunday night and drank. I didn’t drink as much as I could have, but probably drank more than I needed to. During that night I made a trip with someone back to the liquor store. I had needed to pick up more beer and the other person involved was picking up some things they needed. 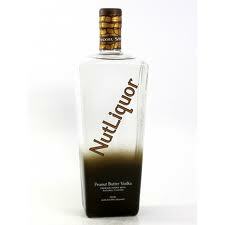 It was at this store that I saw it, NutLiquor. Okay, so before we get any further I should explain what it is. NutLiquor is a 69 Proof, peanut butter flavored vodka made by Pandora Spirits. Their website says it is meant to taste like the center of a peanut butter cup. It is also apparently safe to drink if you have peanut allergies. It is blended to be drunk neat, so it is not supposed to have any harsh aftertaste. I did not buy NutLiquor when I saw it. I regret that now. I’m going to have to buy a bottle for the next party I go to. There is a strange curiosity about it. I never wanted to drink peanut butter, but now I want to try it. Of course there is the name. I’m not even going to make the nut licker jokes today; I’ll let you come up with your own. Okay, so I know the line in Clerks: The Animated series was, “It was an all painter three-way!” I think once you watch this commercial for Liquid Plumber you’ll understand. Is this thing seriously running on TV? I mean it’s funny as all hell, but wow. I had other things to talk about, but once I saw this I had to share immediately. Not wanting to get off the couch most of Friday and Saturday, I spent a lot of time with the Mass Effect 3 demo. This is no small demo; it has a lot to offer. We aren’t going to be talking about the two single player missions the demo lets you play though; today is all about the multiplayer. There is something strange in my head that make me very uncomfortable playing games with people I don’t know. I get very anxious and don’t end up enjoying it. So when multi-player was added to my favorite game I got very nervous. When you start the multiplayer you have to choose your class. 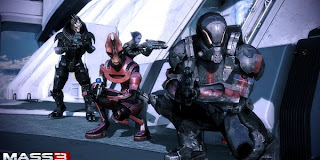 They are the same classes you pick from when creating your Shephard. Each of those classes has 4 possible race selections, but only one of them for each class is unlocked at the beginning. The starting race for all of the classes is human, with some classes having the male unlocked and some having the female. Once you pick the class you can modify your armor color, name your character, change weapons, etc. The missions you send your newly created character on can include up to three other players. For the missions I played there was only one other person playing with me. Waves of enemies come pretty fast. After the first two waves you’re given an objective. 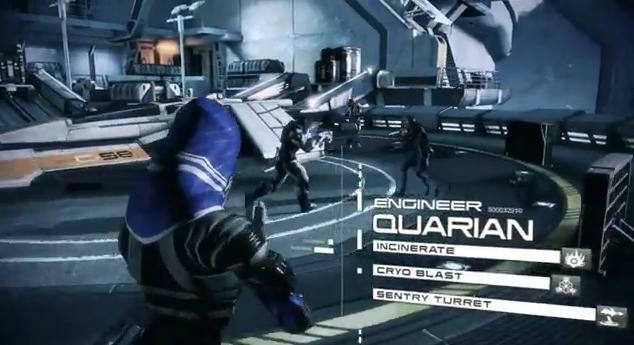 That objective might be kill specific enemies, stand in an area long enough to upload data, or interact with four different devices. Completing objectives means earning credits, more on those later. As you battle through the waves you can earn medals that are worth XP bonuses. Things like 5 headshots, or 25 assault rifle kills will pop up while you are playing. The credits you earn while playing unlock booster packs. Just like booster packs for card games, you don’t know what you are going to get. You might get an uncommon weapon modification or unlock a new playable race. Some of the items, like the medpacks, are one time use. 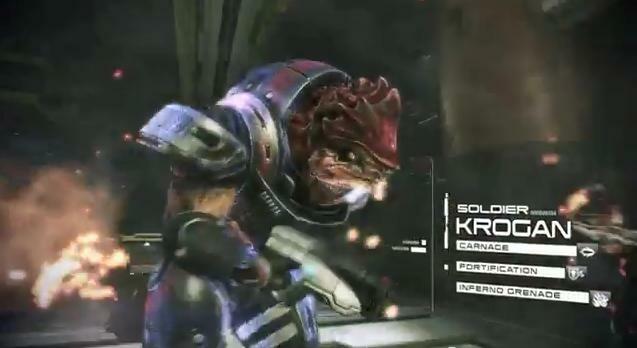 While we were playing Brandon unlocked the Asari Adept, I wasn’t able to unlock any of the classes. 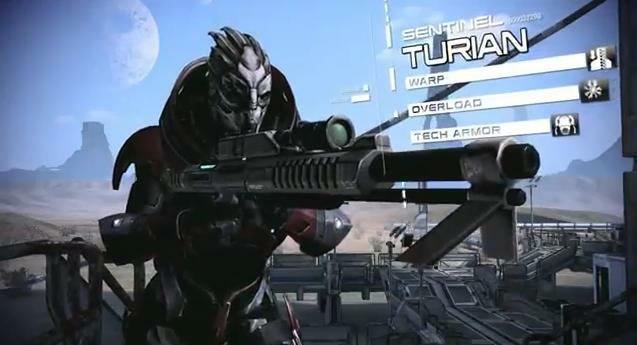 The Turian Sentinel has an amazing grouping of powers. I was very wary of the multiplayer addition. Those fears are gone. As much as I’m looking forward to jumping neck deep in Mass Effect 3’s story, I’m also looking forward to tracking some friends down and meeting them in the multiplayer, I’ll be the Engineer screaming “Go for the eyes Boo!” when I launch my combat drone. Real life is hitting us here at That F'ing Monkey pretty hard as of late. Hence the reason the posts have been a bit lax. So here is another quick one for ya. It’s Hangover Thursday, how’s your head? I still have a massive sinus headache, so you’ll have to forgive me if I wasn’t pounding back the beers last night. 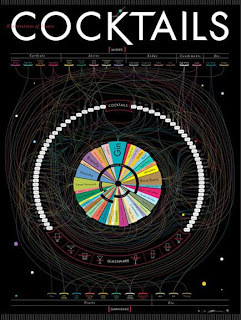 Today we are talking about one of Pop Chart Lab’s fantastic prints. 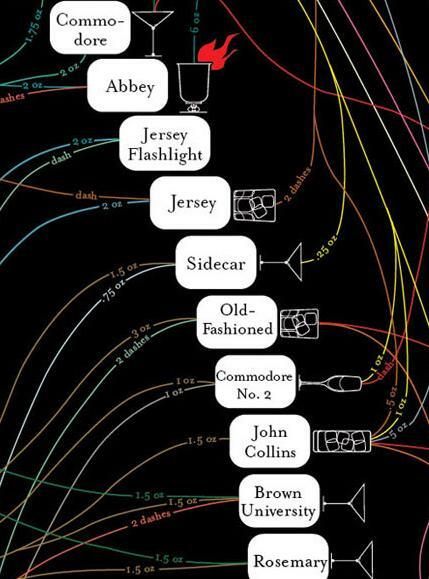 We’ve talked about them before, with their wonderful Very, Very Many Varieties of Beer print. Today we’re looking at their Constitutions of Classic Cocktails print. At one point in my life I had two posters I had bought at Spencers. Placed on an all black background were numerous glasses. They were shots on one poster and actual drinks on the other. These glasses were then filled with a rainbow of colors. 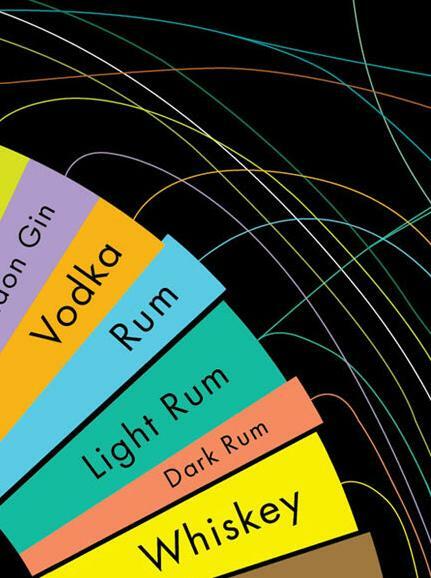 A helpful key at the bottom of the poster told you exactly what booze went with each color. In hindsight they were not the best looking of decorating choices. Pop Chart Lab’s newest drinking print looks downright scientific. Framed it up nice and be proud to hang it anywhere you want without worrying about if it’ll turn your wallspace into that of a dorm room. 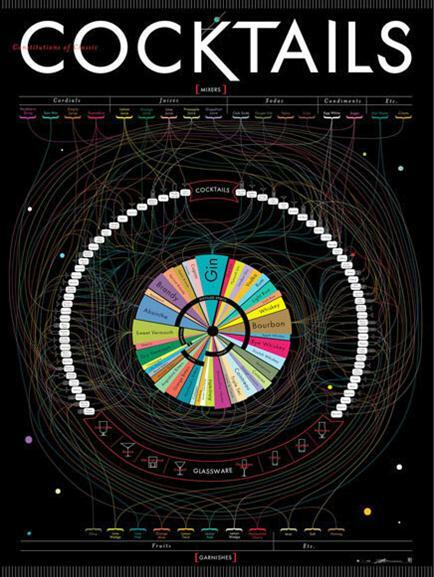 It would look fantastic hanging above your home bar if you’re lucky enough to have one of those. Since I live in an area where basements turn into in-house pools, I am envious of all of your basement bars. The print is also extremely useful. It breaks down 68 drinks. It tells you what glass you need and then goes on to tell you how many ounces you need of your mixers and your alcohol. Down at the bottom of the print it even tells you what to garnish your drink with. It’s a big piece too, 27” by 39”. If you’re looking for something to class up your drinking area, drop by Pop Chart Labs. Yup, all you get is this picture. Bonus points if you get which song it is from. Here we are again poised for an epic post when the fates and the fact that I have had 3 people quit on me for "higher paying jobs" (like that is a real thing) in as many weeks. However That F'ing Monkeys Group of Exceptional Individuals has proven to be quite the hit, so I am going to extend it. In fact we now have multiple teams of Individuals. So in that spirit I have devised some categories for your teams. First up is an 80's team, I have gotten a few submissions with members from Indiana Jones to Egon Spengler. So, if you have not already submitted an 80's team let me hear it. Next up is a Space Based Team. Then we need an all Video Game group. You want Johnny Gat to lead up a team? The answer to that by the way is hell yes you do. Finally how about a humor based group? That is what I originally based this idea on. A group with the aforementioned Ron Swanson, Dwight Schrute (thanks to Reaper for that sugestion), and Muscles Glasses. There ya go some categories for your own Groups. So lets hear some more of your nominations in the comments, on our facebook page, or click the Contact Us link on the side bar. Also if you have a category to submit throw that in as well. Let Your F'ing Voice Be Heard! Happy Flash Friday everyone! Lia over at Speed Force wrote a fantastic piece on her love for the Top. It got me thinking about my own love for some third and fourth string characters, it also got me thinking about just when I started liking the Flash’s Rogues. I think I’ve figured it out. See I used to sleep with them. Shocking I know. Before jumping to the Rogues I want to quickly go over my discovery of the Flash. While there is more information about it HERE, my fascination of the Flash started with a tiny comic that retold his origin. There was something magical in those pages and I was hooked from an early age. That book does feature the Rogues, but it is extremely brief. You see maybe a panel of each one getting defeated by the Flash. 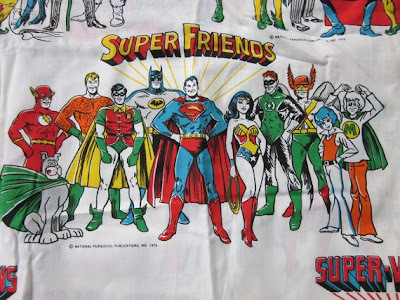 Fast forward to the Superfriends. I was a superhero junkie as a kid; I had toys, underroos, and even sheets. 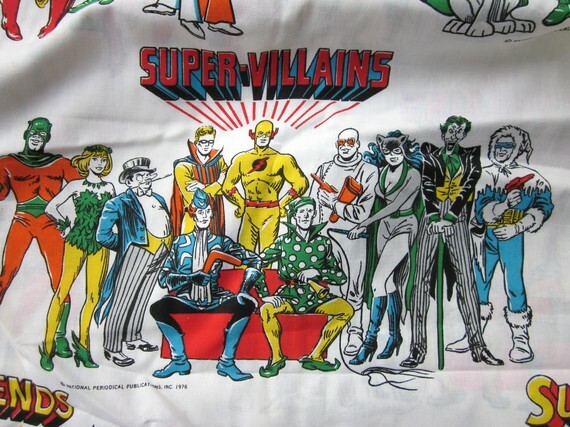 The sheet set I had is pictured above, it was a white sheet that repeated the picture of the hero and the villain line up. 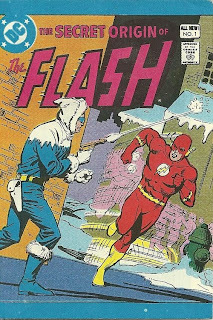 Even as a kid I remember knowing that the Flash’s lightning bolt was pointing the wrong direction. The pillow case even had a larger version of the picture; the heroes on ones side and the villains on the other. The villain portrait was especially interesting to me as a kid; I remember always wanting to look at that side. 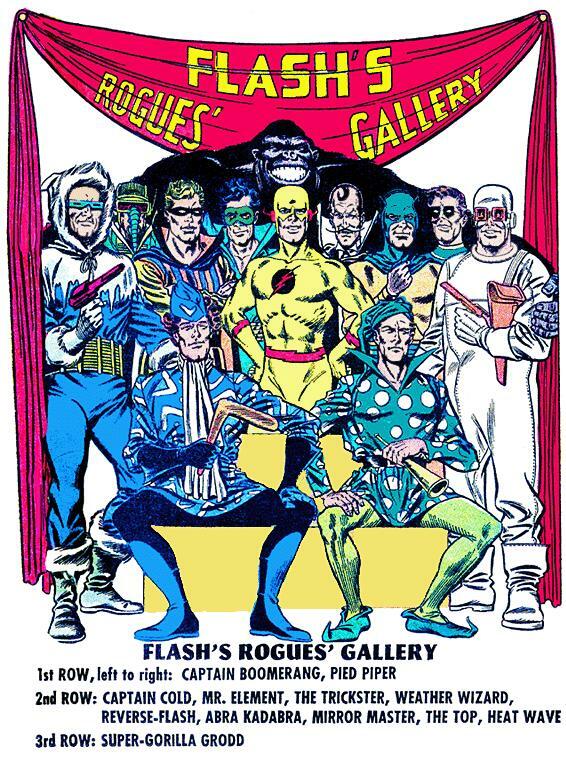 As an older comic fan I’m amazed by how most of the characters used are Rogues. Think about it. There are four Bat villains, seven Flash villains, and no villains from any other villain. Lex Luthor? A total no show. Black Manta? I guess he wasn’t available. Cheetha? She didn’t get the memo. Sinestro? Maybe he was off world. Even Gentleman Ghost was too busy I guess. Now I realize where most of the image they used is from. Still, it is strange that the core of the super villain piece was taken from a pin-up of the Flash’s villains. I have to admit that during this time, most of who I liked or disliked was based 100% on how they looked on the pillow case. 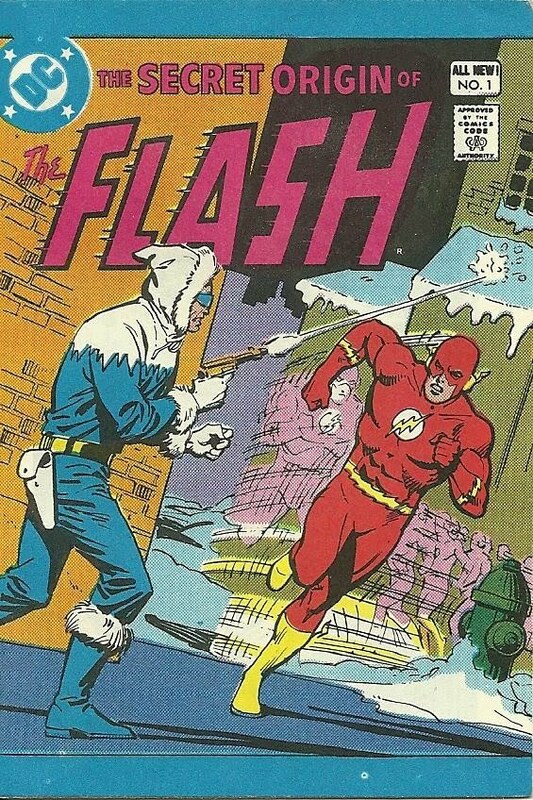 I thought Captain Cold was awesome and that Heatwave looked like a dork. 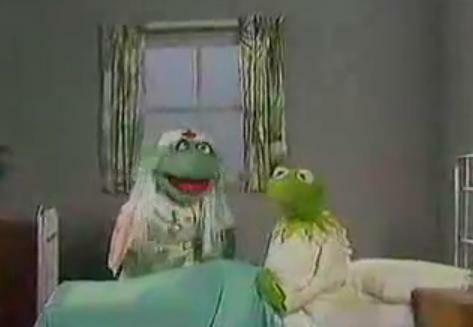 And that’s the story of how I used to sleep with the Rogues. It’s Hangover Thursday, how’s your head? I am slammed, slammed, slammed at my day job. I can’t tell you how much I’d like to sneak off to a dark bar and have a couple pints. Since I don’t have much time today, I’m going to share a song. Not one written by the Tossers, but probably my favorite of their songs. As someone who is about to be a father, I’m very excited by the amount of DC toys being released in the younger kid toy lines. With all the HeroWorld and Imaginext stuff even the smallest Batman fan is going to be happy. I guess Fisher Price are banking on the Green Lantern cartoon getting popular, because the Green Lantern is getting a whole line of HeroWorld toys. Some of them are already on the shelves of your local Toys R Us. 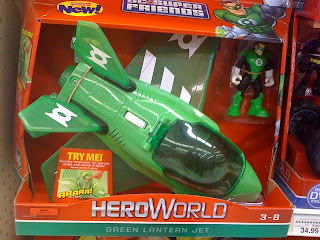 Starting with the biggest of the sets I found is the Green Lantern Jet. 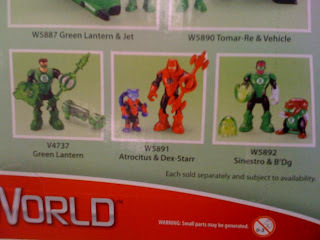 It comes with a Hal Jordan figure. The jet has an “actionator” dial that pops out the wings, makes sounds, and lights up. It also has landing gear, shoots a missile, and has a flip down “flight grip”. I love the toys that actually come with handles like that. It was one of the reasons the Captain Power ships were so cool. Since this is a bigger set, it comes with the largest price tag. Flying around your living room in the Green Lantern Jet will cost you 35 dollars. Tomar-Re comes with a Turbo Sled. The Turbo Sled also has an “actionator” dial. It doesn’t do quite as much as the jet though. Turing this one will spin the turbo booster at the back of the Sled. The Sled also has a clear green missile that fires from the front of it. 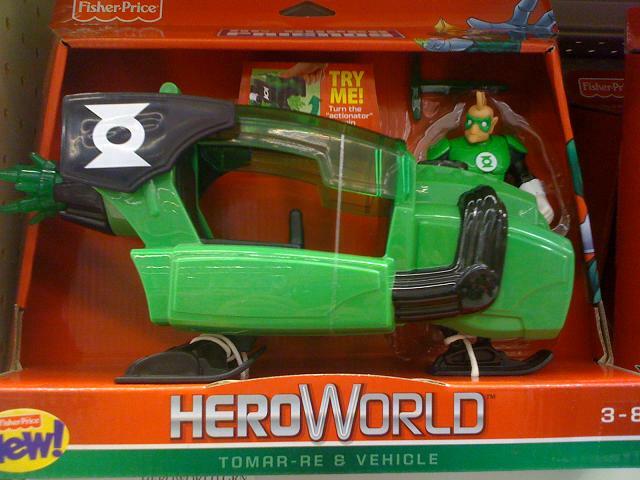 Almost half the cost of the jet you can get Tomar-Re and his Sled for 16 dollars. Still, let's be honest here, there is a Tomar-Re toy for children. That is awesome. 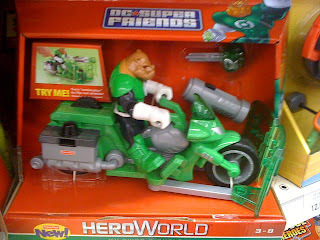 You can’t have Green Lantern toys without including Kilowog. The Wog comes with a motorcycle that’s ready for battle. There is a cannon mounted on the front of the bike that shoots out a clear green fist. Turn the “actionator” and two clear green shields pop out from the sides of the bike and cover the front end. I thought it was the coolest design of the three. Wog and his hog have the same price point as Tomar-Re, so if you want to take him home it’ll cost you 16 dollars. Finally I took a picture of the back of the packaging. I didn’t see these single figures anywhere, but I think it is a pretty interesting line up. I’m sure plenty of adult collectors will be grabbing these sets. Atrocitus and Sinestro may be cool, but obviously the highlights of this line are the Dex-Starr and the B’Dg. I have already mentioned that I’m a mediocre painter. When working on my Warhammer 40K army I have to find other ways to make my little plastic army look better. One of those ways is basing. Basing is when you paint or add material to the plain black bases your figures come with. 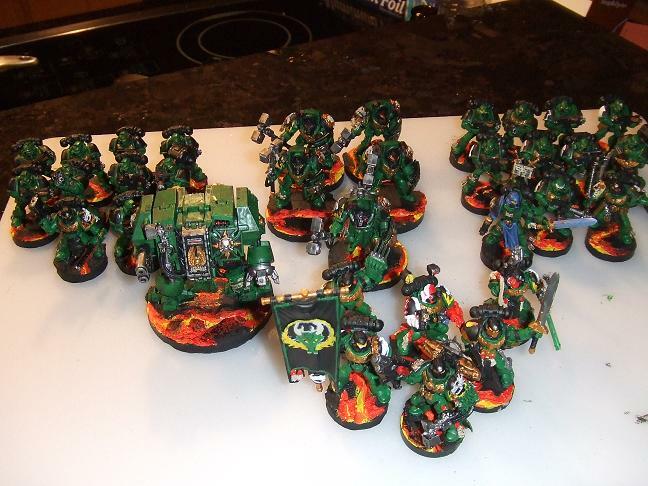 I don’t remember basing being that popular when I first played 40K back in the 90s, but it is very popular now. 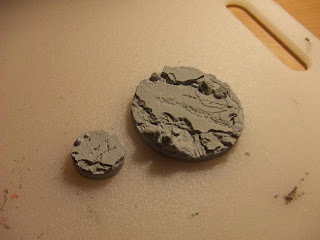 For good reason too, a good base can make a huge difference in the look of your models. Great looking bases don’t have to be a lot of work though. There are plenty of kits that will help you add the elements you’re looking for. In addition to that, you can buy resin bases that are already sculpted to fit your theme. 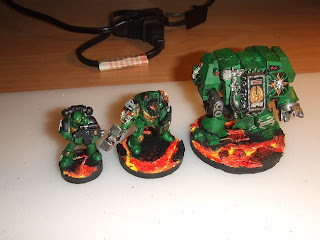 My personal army is the Salamander Space Marine Chapter; they come from an inhospitable volcanic planet so I wanted bases with lava on them. Enter Secret Weapon. Secret Weapon has a great selection of bases to choose from and they are always adding new ones. What I’m showing off are from their discontinued Lava Flow Straight Bases. The bases came in three sizes; so I could use them on my normal troops, my terminators, and on my dreadnaughts. The bases come unpainted. They need a quick rinse off and a minimal amount of flash trimming before they are ready to be painted. Painting these bases is ridiculously easy and I usually do it was I’m painting the rest of my figures. First I start with a black primer. 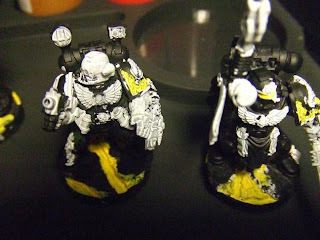 After that I paint the lava sections with Skull White. When the Skull White dries I cover it with Sunburst Yellow. Before I go further, this is a good spot to remember how lava works. The hottest part of the lava will be bright yellow, as it slows it begins to cool. So we want the center, moving areas to be bright yellow and the areas of dried lava to be the darkest red. With that being said, I take Blazing Orange and cover most of the Sunburst Yellow. Also I wanted to say that I’m not exactly neat with the paint applications. If a bit of rock gets a little extra color on it, it will look better in the long run. When the Orange is dry I go over the far edges with Blood Red. It is good to dry brush the Blood Red over some of the rocky areas too. 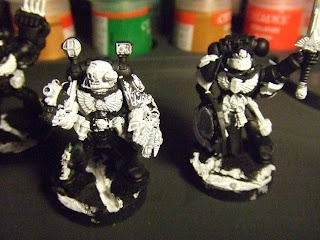 To finish off I’ll take Chaos Black and cover any areas that I’m not pleased with the look of. Obviously I could add even more to the yellow/orange/red progression, but I’m happy with my three color version. On one figure it looks good, on an entire army, it really looks impressive. In fact the bases are usually the first thing people mention when they see my army. If you’re looking to base your figures, check out Secret Weapon, I really can’t recommend them enough. How does one follow the epic that is GaoGaiGar? One does not. Also real life intervenes, so there is that. I am however going to preview my topic for next week - The Group Of Exceptional Individuals. What is that jive, you ask yourself? Well let me explain, everyone knows The League of Extraordinary Gentlemen. Well this would be the pop culture version of that, the 'Merican version if you will. 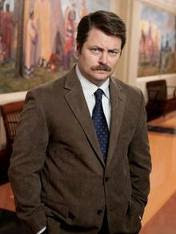 Where the League is classic literature characters like Allan Quatermain and Hawley Griffin, this would be pop culture characters such as Ron Swanson from "Parks and Recreation"
So I ask you to put in your nominations, Reader, as to who you would like to see in this great undertaking (a.k.a. waste of valuable time). Let us know in the comments, on our Facebook page, or hit the ol' Contact Us tab. 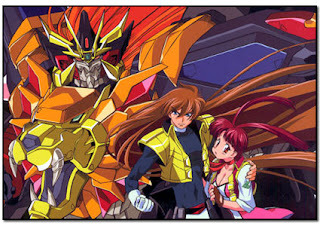 Yesterday we started our in depth look at The King of Brave GaoGaiGar’s very first episode. So far we’ve seen a baby in the mouth of a robot lion, jet powered rollerblades, underwater bases, and a robot made of garbage. At this point 3G has called in Guy to help them fight E1-02 and save the school children trapped aboard the boat that was absorbed into E1-02’s backside. Much like the first entry, this is going to be long.